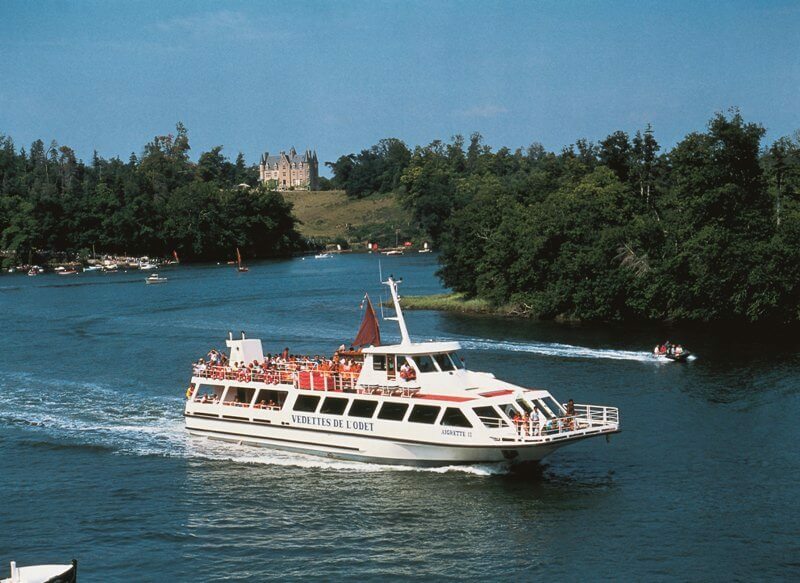 Located in Bénodet, one of the most attractive seaside resorts in Brittany, the “Vedettes de l’Odet” shipping company invites you to discover the most beautiful sites in South Finistère on a cruise with commentary. The River Odet, the Glénan Islands, Concarneau Bay … delightful destinations for each visitor. Choose your cruise and come aboard! To discover South Finistère for a couple of days, the “Vedettes de l’Odet” shipping company suggests week‑end and short stays in Bénodet or Fouesnant. These packages include half-board for one night in a 2 or 3 star hotel, a lunch cruise on the River Odet a daytrip to the Glénan Islands and a visit to a museum or a tourist train trip. Cruises are also available as gift-packs! Don’t wait any longer – Treat yourself and your loved ones for any occasion! Moreover, “Vedettes de l’Odet” organise original cruises for companies: meetings, seminars, product launching, incentives, nautical challenges, treasure hunts, and many others! Don’t hesitate any longer, contact our Group Service Department for more information. Original cruises for private parties: weddings, cocktail parties, birthdays and retirement parties. Any occasion is worth a celebration! A cruise on “Vedettes de l’Odet” is always a wonderful celebration. Please not that you can also rent one of our ships – staff included – for a special occasion during maritime events (Brest 2016, Armada de la Liberté in Rouen), race departures along the Atlantic coast (Vendée Globe, Transat en Double, AG2R in Concarneau) and others. “Vedettes de l’Odet” have a fleet of 8 modern and comfortable boats, conceived and designed for authentic and original cruises. Whether you choose a Discovery cruise aboard the “Rivage”, a Lunch cruise on the “Aigrette” restaurant-boat, or an underwater exploration cruise on the “Capitaine Némo”, your experience will be outstanding! Our season starts in April and ends in October. If you want to join our team, send us your application. Your dynamism will be your best asset!